IMCD, a leading global distributor of speciality chemicals and food ingredients, has signed an exclusive agreement with Ingredion to distribute its range of starches and functional food ingredients across multiple territories in Sub Saharan Africa. With a staggered roll out approach, IMCD South Africa has commenced distributing Ingredion Starches in the Western Cape, neighbouring SADEC countries and East Africa while Gauteng and KZN will come on board 1 October 2018. “Our ability to technically drive and add value to Ingredion’s product portfolio has been a key factor in joining forces,” says Otto Brinkmann, MD for IMCD South Africa and East Africa. “The new distributor partnership with IMCD is a positive development in expanding Ingredion’s geographic footprint in Eastern and Southern Africa region,” adds Kennedy Ouma, Ingredion’s business director for Africa. About Ingredion: A leading global ingredients solutions provider specialising in nature-based sweeteners, starches and nutrition ingredients and bio-material solutions. With customers in more than 100 countries, Ingredion serves approximately 60 diverse sectors in food, beverage, brewing, pharmaceuticals and other industries. For more information, visit emea.ingredion.com. 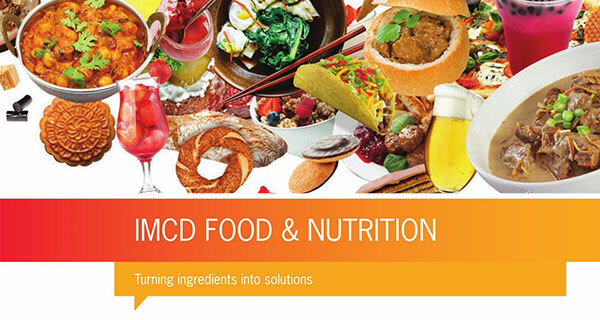 About IMCD: A global leader in the sales, marketing and distribution of speciality chemicals and food ingredients. Through our technical, marketing and supply chain expertise we bring added value and growth to both our customers and principal partners throughout the world. IMCD South Africa, headquartered in Johannesburg, provides national market coverage with branches and warehousing in all major cities throughout South Africa, while the establishment of IMCD Kenya allows for penetration into the East Africa territory. For more information, visit www.imcdgroup.com.